cardigan junkie: Is that you, Michael Kors? Just had to share. :) Happy weekend - I'm off to see Third Eye Blind like it's 2001! I think I actually like the cheap-os better! In agreement as well I love the style on the less expensive much better. 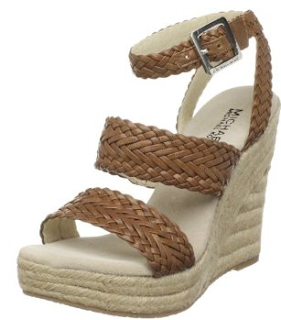 I NEED some wedges, ah! Um, I actually prefer the cheaper version (based on the pics, anyway). Nice find!